She’s a lovely Welsh heritage choice, but would she ever be pronounced correctly in the US? Thanks to Lola for suggesting Ceridwen as our Baby Name of the Day. Let’s start with sound. Ceridwen’s emphasis is the middle syllable: ke RID wen or maybe keh REED wen. Listen to a native speaker say it here. This is an issue. Much like Aderyn, it just isn’t an intuitive pronunciation for American English speakers. I want to say KER eh dwen or care EH dwen instead. Assuming that the confusion is tolerable, there’s much to love about Ceridwen. She comes from cerdd – poetry or song – and that familiar Welsh element gwen – fair or blessed. The name was worn by a goddess. The short version of the medieval tales: Ceridwen possessed the cauldron of poetic inspiration, and is the creator of Taliesin, the great Welsh poet. Things get murky here, and the story is far longer. First, Taliesin was a historical figure, a sixth century poet. Legend tells us that he started life as Ceridwen’s servant, a regular boy with a different name. Ceridwen had a son, a creature astonishingly ugly. The goddess prepared an elaborate potion, in an attempt to endow her son with gifts to compensate for his lack of good looks. Only the servant boy accidentally consumed the potion. Knowing he was in for it, the boy fled. The chase scene that followed must have been spectacular. Both the goddess and the boy transformed into various creatures, attempting to outwit the other. Eventually, the servant boy became a kernel of wheat, and tried to hide in a grain cellar. Ceridwen turned into a bird and gobbled him up. But the servant boy’s story didn’t end there. Ceridwen found herself pregnant, and the boy was reborn as Taliesin. 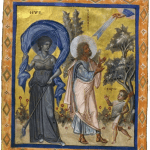 There is some debate as to the exact derivation of her name – and if you read the entire myth, there are fascinating possibilities. Nook of Names had a great post on the goddess. Ceridwen’s story has been known for generations. She’s wrapped up with Arthurian legend, and Victorian poets re-told her tale. Like many a name borrowed from myth and literature, Ceridwen was first used as a given name in the nineteenth century, though it is possible that related names were in use earlier, and certainly Gwen names, like Gwenllian, have a long history of use. The nineteenth century was a popular moment for borrowing names from such sources, and chances are she wasn’t the only one. By the late 1800s and early 1900s, there are a smattering in the US Census records, too. The logical nickname for Ceridwen is Ceri, pronounced like Carrie — a convenient short form, but one that doesn’t help with the confusion. Keridwen/Keri is much less common, but could be easier to pronounce. Still, Ceridwen isn’t completely unknown. There’s Babble contributor Ceridwen Morris, for one. The 1939 novel of a close knit family in a Welsh mining town How Green Was My Valley included a character called Ceridwen. A wildly successful 1941 film adaptation followed, but the character doesn’t appear in the movie. If you’re after a distinctive Welsh heritage choice and don’t mind a little repetition, Ceridwen could be an appealing option. Can anyone /please/ answer, is it wrong if I was to pronounce this name with a soft C instead of a hard one. Ceri pronounced like Kerri is NOT my favorite name! D: It’s so much prettier said was a soft C.
So my question is ~ 1.) Is this a proper pronunciation anywhere, and 2.) 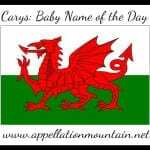 If it’s not, could I still say it that way if my child was to be named Ceridwen? Rachel, it’s technically wrong – but that doesn’t mean you can’t do it! I know many people will disagree with me. But here’s my take: when a name is really unusual, you’re free to make changes that normally wouldn’t fly. You can’t *really* tell me that you’re pronouncing Karen kayREEN. We all know the name, and there’s an immediate instinct to say it as we normally do. But with Ceridwen, most people are going to pause and wait for you to offer a pronunciation. They have no idea if it should take an S or a K sound. 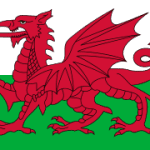 Possible pitfalls: running into someone well-versed in Welsh myth. I feel like Ceridwen might have a rough time of it at a Renaissance Faire. Or, of course, some pop culture use of the name, whether it’s based on the original Welsh legend or just a use of the name, that emphasizes the K sound. For now, though, Ceridwen is totally under-the-radar. There have never been even five girls given the name in a single year in the US. In other words, you are not likely to ever meet another Ceridwen, and the few times you do meet someone who is familiar with the name … well, those are likely to be pretty rare. Oh, wait, one last pitfall: your daughter searches her name and realizes you’re pronouncing it differently than the traditional Welsh pronunciation and decides she’d rather be Keri. Can’t help you there … but then, I think we all have to contend with the possibility that our children will ask to change their names in some fashion at some point. So … maybe not a worry. 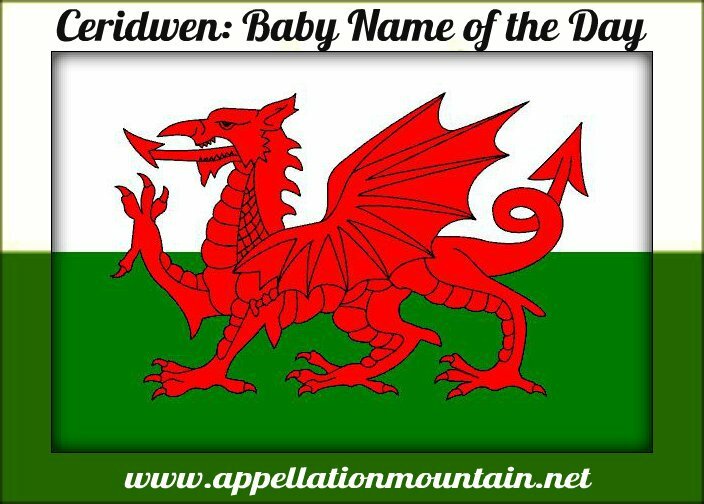 I wanted to add that regardless of how it’s pronounced, Ceridwen is one of the prettiest names to look at. I used to love Ceridwen, when I didn’t know the correct pronunciation and said it ‘CARE id wen’. That would be about the same time I learned that Eilonwy is NOT ‘EE lun wee’ and Aeronwy NOT ‘AIR un wee’ nor is Aeronwen ‘AIR un wen’. And I sort of fell out of love with these names. But you know, ‘kuh REED wen’ is just enough different from ‘kuh RID wen’ for me to like it. And anyway, I don’t love these names as much as I did, but I still like them more than many other less interesting names. I would love to meet a ‘cuh RID wen’ or an ‘air RON wen’, etc. I also knew (not very well) a Ceridwen at university, in the Fine Arts department. She did use Ceri as her everyday name, said like Kerry, not like Carrie. I only remember her saying her full name once, and she sort of rushed through it, so I may not be recalling this correctly, but I *think* she actually did pronounce her name as KEHR-ihd-wen. I don’t know if her parents didn’t know the Welsh pronunciation, or had opted for an Anglicised pronunciation. If you go with the prn. keh REED wen, you could use Reed or Wen/Wren as a nn. Also this would be a great formal name if you were trying to get to Wendy or honor a Wendy.